Colourful little resin and wire mobile that looks fantastic with light streaming through it, perfect for hanging in a sunny window. 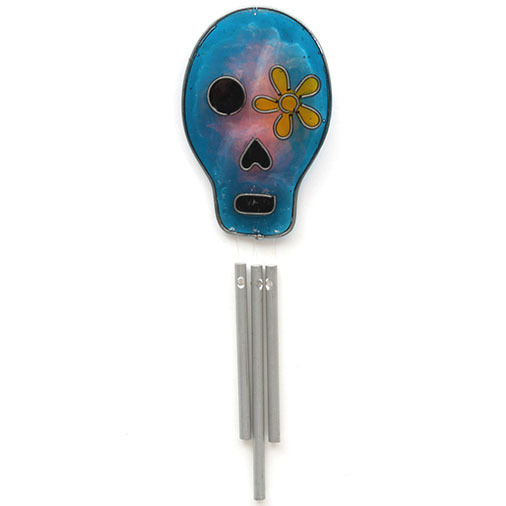 The sun catcher here is shaped like a Mexican Day of the Dead style skull. Each 'piece' is connected with sturdy fishing line and has a metal keyring hoop for ease of hanging.